A Plymouth University graduate has launched a new retail incentives and reward scheme developed specifically for students and young people. 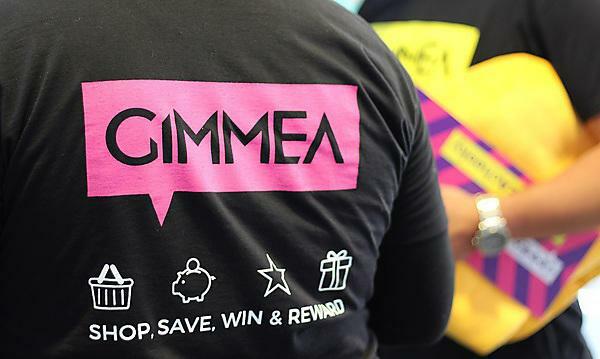 Josh Collyer first developed the idea for GIMMEA, while studying on the BSc (Hons) Digital Art & Technology course. He recognised there were various student discount schemes already available, but wanted to combine good deals with rewards, taking an established idea and making it better. The finished website enables retailers to promote their latest offers and incentives, while subscribers and followers on social media receive regular updates on the latest promotions. They will also discover Buying Guides, Lists and Blog posts containing useful ideas and inspiration for saving money, looking great and surviving student life. Users can also create their own digital shopping lists, making it less awkward to ask family and loved ones to help buy the things they really need – and every purchase earns rewards points. The website was launched during the 2016 Freshers Fair at Plymouth University, with a series of competitions and incentives proving a big hit with new students. Here at Plymouth, we've been leading the way for over 20 years, building one of the most established interactive media courses in Europe the programme's unusual mix of art, design and technology is underpinned by the expertise of computer scientists, electronic engineers and artificial intelligence researchers. This fast-paced industry encompasses a wide range of people and organisations from web design companies to games production houses, digital television producers to art galleries and museums, and mobile communication developers to researchers. A common theme running through the industry is a requirement for innovative, interdisciplinary practitioners with strong technical and imaginative ideas; for those bright individuals rewarding careers await. Sometimes very artistic, other times very industrially orientated, the work of students and graduates has always been imaginative and thought provoking. Our digital art and technology students are able to operate at the technical depth that industry demands, alongside a creative insight that generates innovative solutions. Our specialist undergraduate programmes, all designed to challenge, work alongside each other sharing the common philosophy of preparing our students for the workplace. Today we offer a core of specialist undergraduate and postgraduate courses, all designed to challenge and sharing the common philosophy of preparing our students for the workplace. In the final year you can choose to customise your course depending on your interests and career goals. This choice will be reflected in your award title, choose from: games design, information design and interaction design.